Fellow Smartphone and Pocket PC Magazine blogger Ben Stanley has an interesting writeup on syncing a Pocket PC (or Smartphone) to Ubuntu Linux. I haven’t tried it yet on my Ubuntu setup, but will give it a try later this week. Ben notes that there are some hitches in the sync process: for example, if you categorize your tasks and contacts (as you would if you were using the device for implementing David Allen’s GTD system), then it sounds like the sync process has to proceed one category at a time. Not very friendly, but doable at least. He notes that syncing a Palm to Ubuntu is a bit easier, and my recollection from piddling with Linux a few years ago is that there have been apps in place for some time to allow syncing with a Palm. Anyway, if you are using Ubuntu, you should give Ben’s blog entry a read. 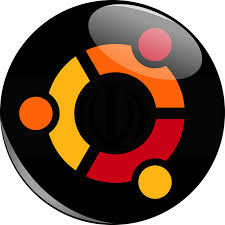 This entry was posted in Linux and tagged Ben Stanley, PPC, Syncing, Tip, Ubuntu.